In the last few years things have changed quite a lot. Cuisines from other regions of India as well as from other parts of the world have started making a mark in Hyderabad. Though acceptability is still growing, we now have Bengali, Gujarati, Rajasthani, Parsi and Malayali and other restaurants at various price points doing brisk business in the city. United Kitchens of India, a new restaurant in Jubilee Hills offers cuisine from six different states – Bengali, Rajasthani and Punjabi apart from the three states of South India. A 200-seater large restaurant, it has brought to the table quite a few exquisite dishes selected from these popular cuisines. Let me first talk about the Bengali food there. They make a mean Narkel Posto Bora (Coconut and khus khus pakoda) which is absolutely a delight with dal and rice. The Alu Dom- Luchi combination is also good, especially the gravy, though one wished they used baby potatoes instead of normal sized ones. The Fish Kabiraji cutlet (essentially a fish cutlet covered with fluffy egg batter and fried) looked awesome, though I wished the cutlet was a bit spicier. 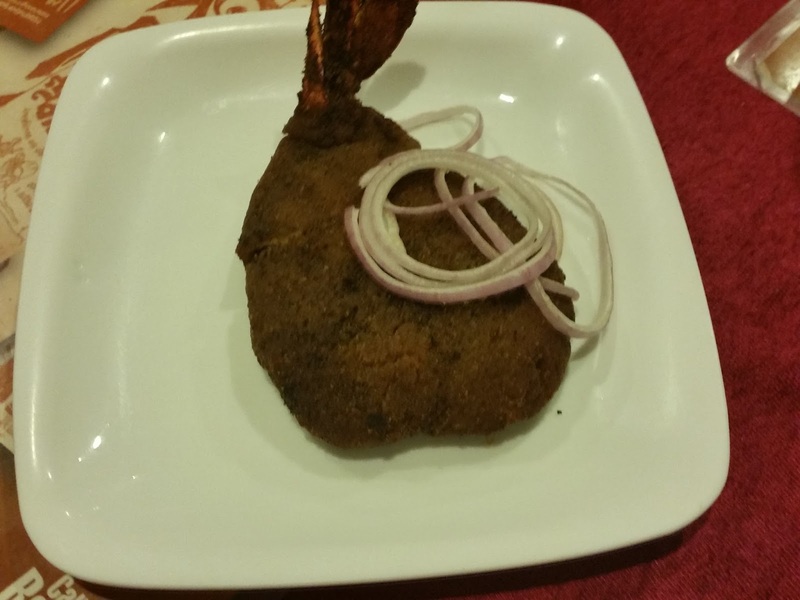 They make their Chingri Malaikari with a cashew based gravy which is a deviation from the normal coconut one. Among the delicacies of other regions, the soft Malai Paneer Roll is a must have here. Murg Angaar and Grilled Korameenu have a nice presentation, whereas the spicy Rajasthani Lal Maans is a good combo with their Indian breads. The vegetarian dish the Papad Ki Sabji again from Rajasthan is delightful and so is the Red Chilli Naan. 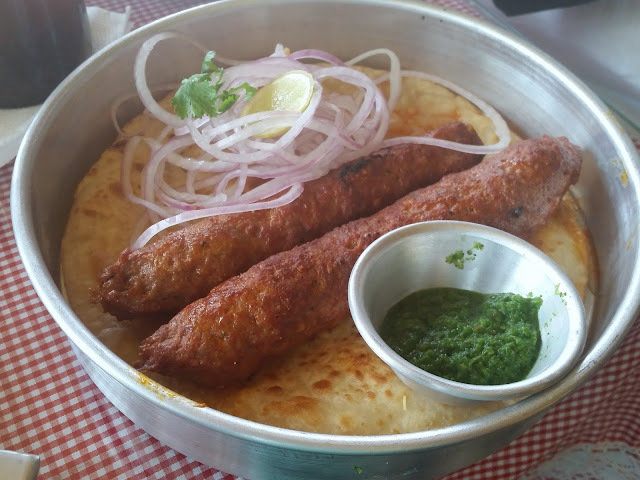 Whereas United Kitchens of India serves delicacies from six different states, SodaBottleOpenerWala located in the same area at Jubilee Hills has brought to Hyderabad Parsi cuisine, as well as food from Bombay streets and cafes. The place has a look and feel of Bombay Irani café, with lots of innovative thinking going into the design. Coming to the food here, they serve a range of Parsi favorites such as Patrani Machhi, Sali Ma Marghi, Murgi Farcha and Berry Pulao. Bheede Par Eeda and its cousin the tomato version are dishes which are very different from what you get in other places. Among the veg the Aloo Aunty’s Veg cutlets and Mushroom on Khari were the ones I liked. Hyderabad is going gaga over Egg Kejriwal, though it is not a particular favorite of mine. The Mumbai street food offered here brings joy to many migrants from that city. My favorite in this section is Bhendi Bazar Seekh Paratha, the recipe being sourced from original outlets in Mumbai. Baida Roti (the Bombay/coastal version of Muttabak/Moglai Paratha) has a delicious filling. The décor of the restaurant is something to be noticed. Apart from the look and feel of a Parsi Café, what I liked were attention to minute details – like a small train going around in the ceiling, and the chaddi hanging out for drying in the verandah. On you first trip, spend the time between your order and the food arriving to go around the place and enjoy the small idiosyncrasies in the design of the restaurant. Another restaurant which is fast making a name for itself is Nalaas Aappakadai, offering the niche non-veg items from Tamilian cuisine. 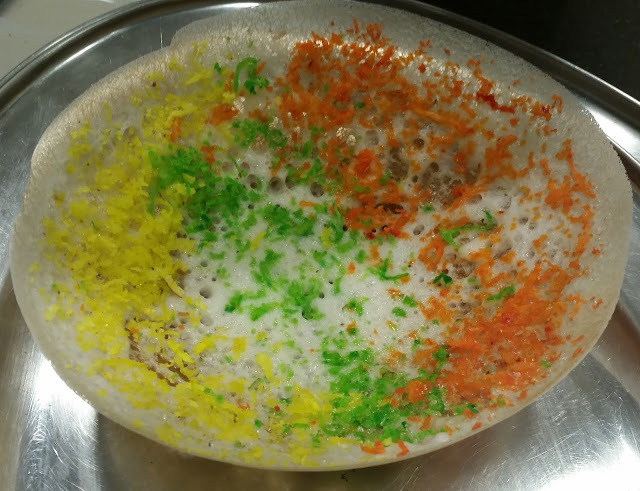 They have about half a dozen versions each of the popular appams and Kotthu Parathas – including exquisite ones like Cheese Cashew Appam and Rainbow Appams. A soup that I like here is Aattu Iraichi Milagu Rasam. This was a pepper based mutton soup with chunks of boneless mutton. The soup had a delightful strong flavor and spicy taste. Another favorite of mine here is Thanjavur Kozhi Poripu. This is a chicken fry with a light red colored coating served with a delightful pudina chutney. The chicken fry is crisp and the marinade penetrates the chicken well. 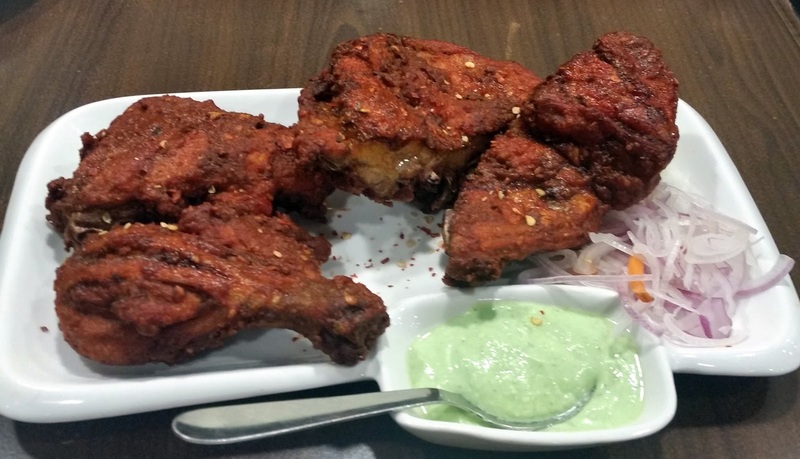 A spicy masala is sprinkled on the chicken which makes it even better. 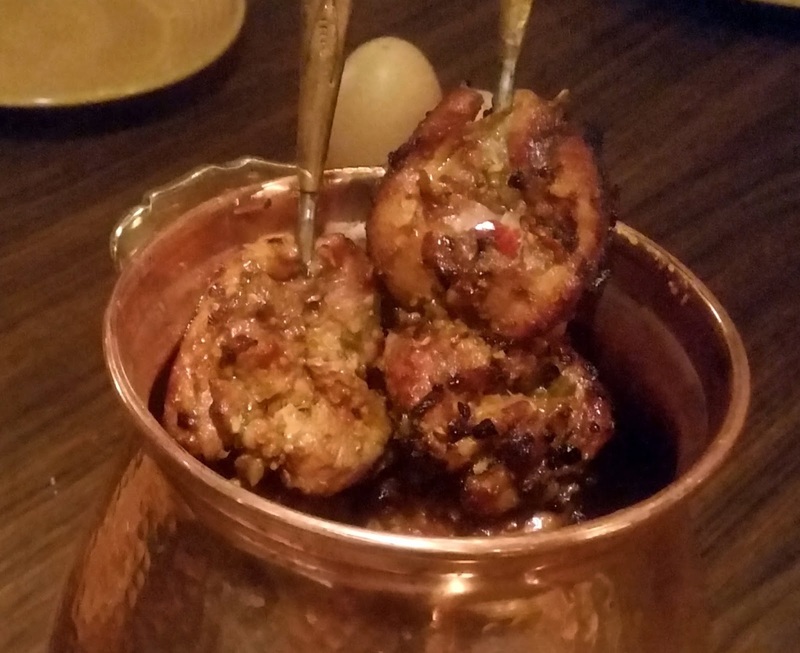 Their Chicken Chettinad is being talked about, but I did not particularly like it. Somehow the flavours of familiar Chettinad The version of Chicken biryani they serve is from the Chettinad cuisine – called Kozhi Seeraga Samba Biryani – which uses the small sized Jeera Samba rice and a fennel and cumin dominated masala. 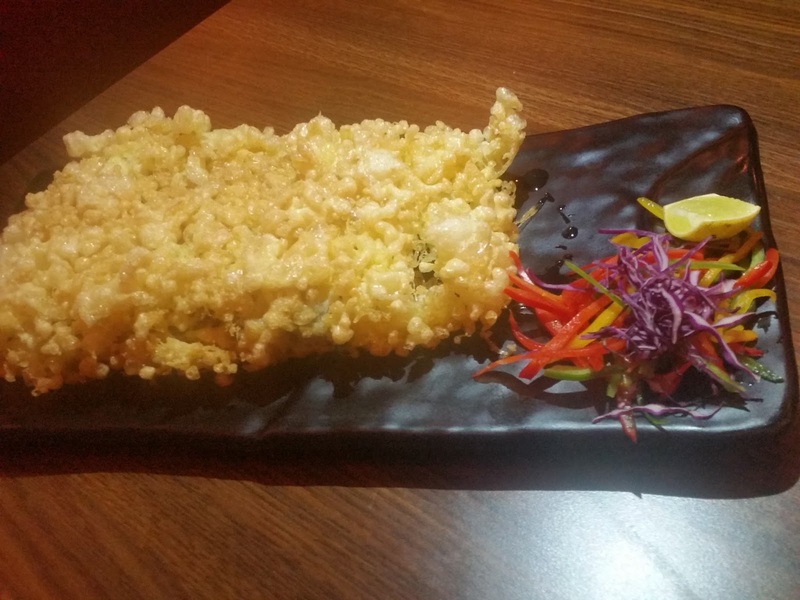 Hyderabad unfortunately does not yet boast of a restaurant serving Odia or North-Eastern cuisine. However there are multiple restaurants who serve Bengali food here. 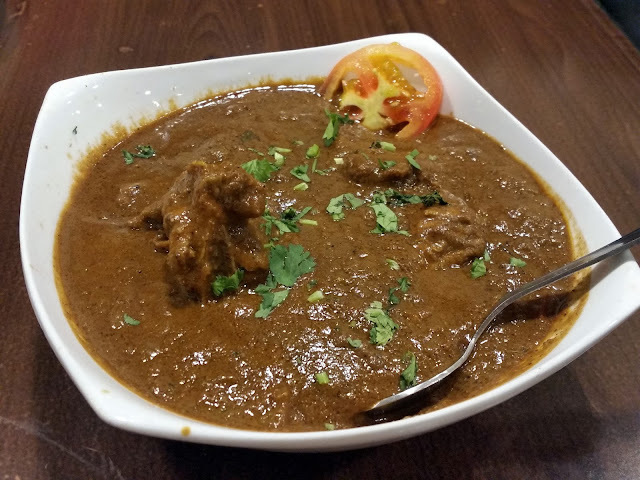 Notable among these is Call of Bengal – which stands out at being different, apart from traditional Bengali cuisine also serves other variants of Kolkata food, – such as Tangra style Chinese, Park Street Anglo Indian, Kolkata version of Moghlai food as well as the street food from the metropolis. Mou Ganguli, the owner of Call of Bengal is an accomplished chef herself, and has a huge repertoire of recipes, which are showcased from time to time. The restaurant organizes special events which are themed on various aspects of the cuisine such as food from East Bengal, Anglo Indian cuisine and so on. 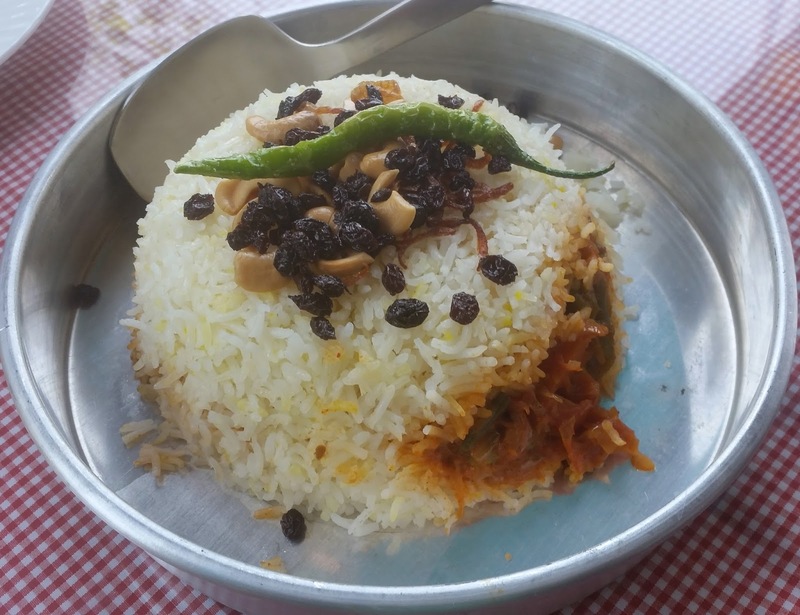 One area where I feel they score over most other Bengali places is their preparation of Kolkata Biryani (known as Khuska Pulao here) along with Chaap and Rezala - the two other famous dishes from the Kolkata variant of Awadhi cuisine. 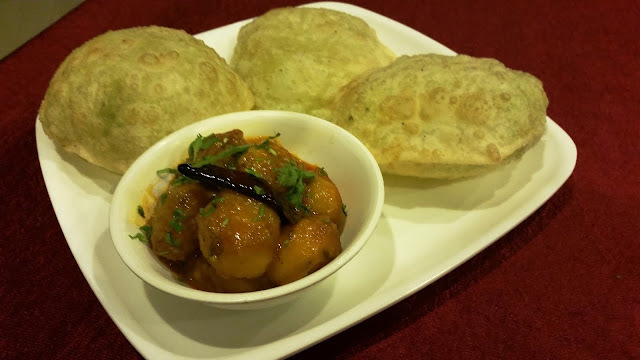 Some of my other favorites here are Koraishutir Kachuri or Luchi with Alur dom as well as Kosha Mangsho from traditional Bengali cuisine, as well as Chicken A-La-Kiev and Fish Florentine from the Park Street cuisine. 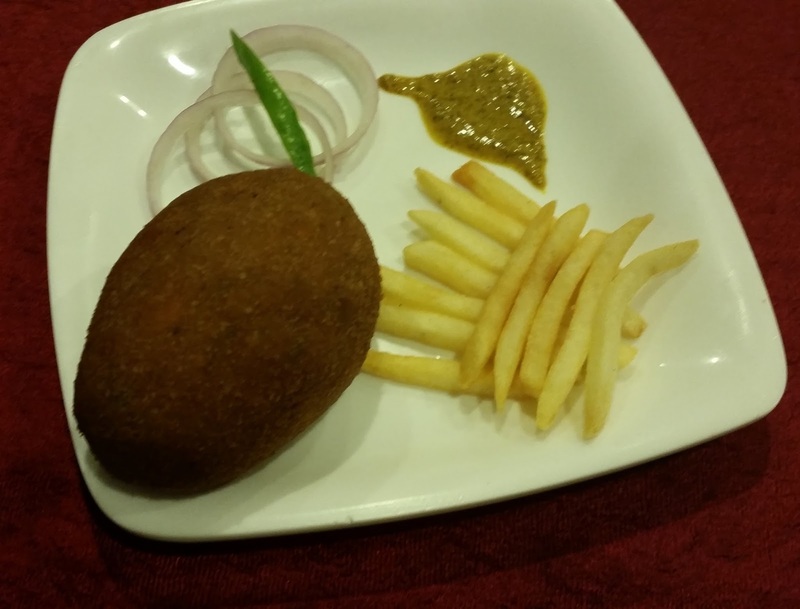 The chops (Bengali style croquettes) and cutlets they make here are not to be missed too – I remember trying out a delicious Prawn Cutlet here. 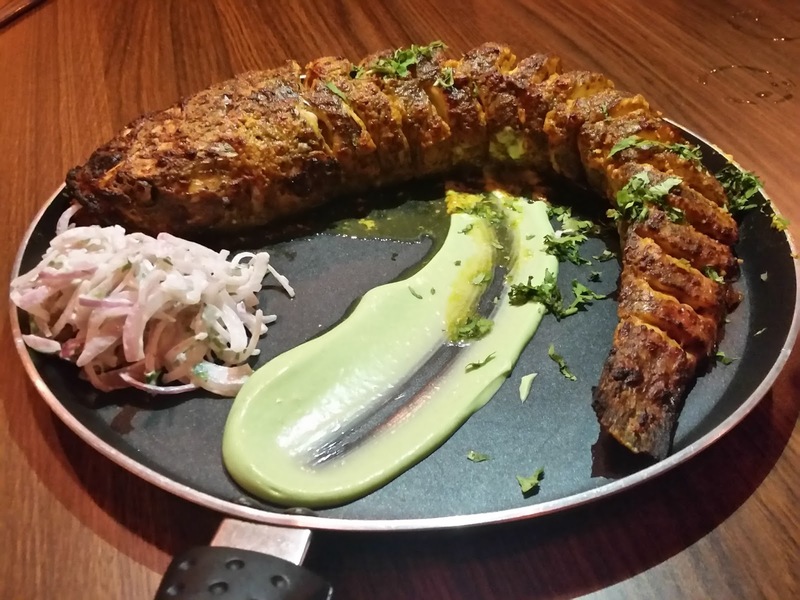 Apart from the places mentioned above – there are many other special places to try out regional cuisines in Hyderabad. 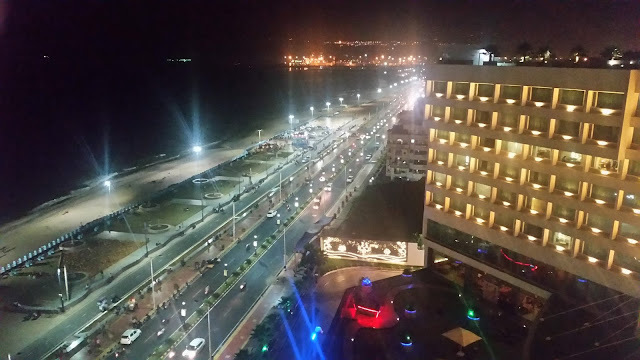 Some of the names which come to mind are Rajdhani (Marwari/Gujarati cuisine), Madras Café (Madras Presidency cuisine), Roll Call (Kolkata snacks like rolls and cutlets), Moti Mahal and a large number of Punjabi restaurants near the Gachibowli flyover. A new restaurant called Jashn-E-Awadh serving true blue Awadhi cuisine has just started at Raidurgam, and another Rajwada serving delicacies from Rajasthan and Madhya Pradesh has opened in Banjara Hills. All this looks too YUM. Chingri Cutlet and Kabiraji!! Finally somebody in Hyderabad serving those!